With all the technology available today, what quality tools are available to advance geo-literacy in your classroom? Besides common web mapping services like Google Maps, one way to expose your students to geography and other geographical data online is to bring GIS software into the classroom. In fact, the Missouri Geographic Alliance, through the University of Missouri, has signed on to provide all Missouri K-12 schools and educators with access to ESRI’s GIS software called ArcGIS (and I’m confident that other states are doing the same). The first step is to request the software, and ESRI even provides a free online training course to help you get the most out of the software. Unsure of what GIS is? As described by wikipedia, a Geographical Information System, or GIS, is “a system designed to capture, store, manipulate, analyze, manage, and present all types of geographical data”. In a nutshell, a GIS merges maps and statistical data with database technology, allowing you to view and interpret data in new ways. ESRI provides a good, easy to understand overview here. This type of software and data pairs great with inquiry and project-based learning, adding depth to assignments and simulations with geographical context and real data. A real example of how GIS can be used in the classroom comes from Barbaree Duke, a middle school teacher in Raleigh, NC. She had her students use GIS to create a project based on the travels of Mark Twain, using math skills to measure distances using the tools found in ERSI’s software. They then demonstrated social studies and technology skills by using the database to find locations around the world that Twain had visited. How cool is that?! For this lesson and more ideas from Barbaree, check out her GIS in Education blog. This is a small list of the things you can do with GIS software. What about you? In what ways could you use GIS software to spruce up a new or existing lesson? 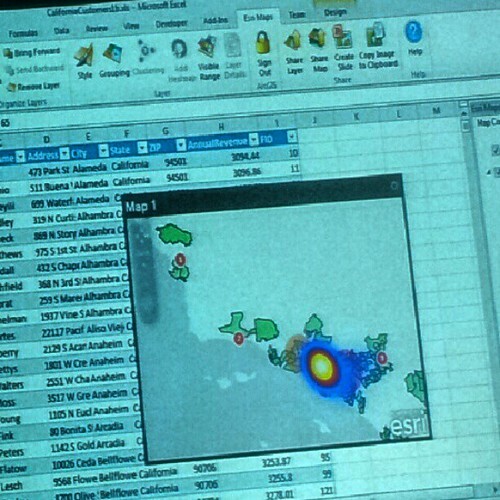 For more information on GIS and how to use it in the classroom, Missouri educators can visit http://gis.missouri.org/. All other areas, you can check out the National Geographic Network of Alliances for Geographic Education community and click on your state to get more information. I admit it, I am a Facebooker. I keep up on what all of my “friends” are doing and of course watch for updates from eMINTS about eMINTS news and blog posts. 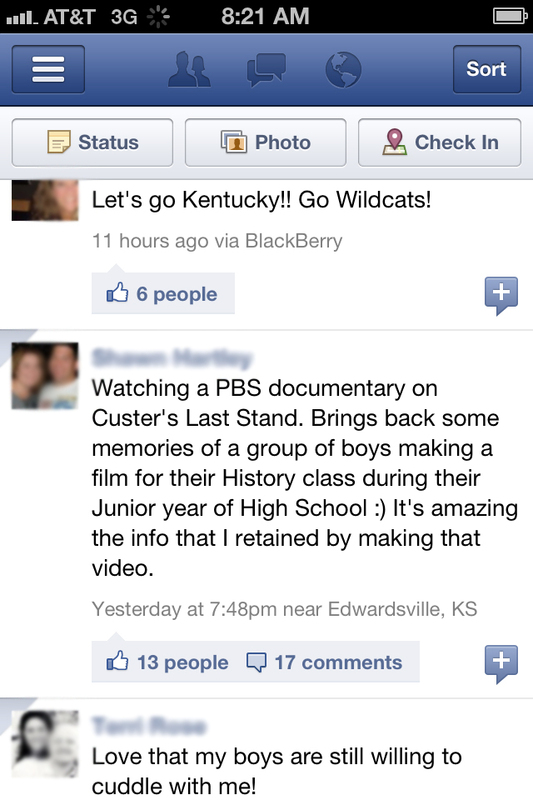 I must say I was surprised when I saw this status update and knew I had to share it here. As I read this update, I instantly remembered back to a project a high school History teacher assigned to make a documentary. Who knew that 20+ years later my friend (and others who commented on his update) would not only remember the project of making the movie, but more importantly, what they learned from it. This struck me as just another reason to keep doing what eMINTS has been doing for years…promoting Constructivist teaching! Last week Zac shared many reasons for using Inquiry and Problem-based Learning in the classroom in his post Room for the Basics. 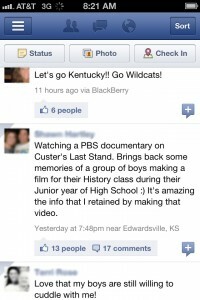 The documentary project reminded me that we might want to share a bit about “The Other PBL” – Project-based Learning. PBL is focused around a central question (we call it an Essential Question) that engages and offers a central focus giving students a purpose for their learning. Teachers structure the guiding question around content and are continually assessing where students are in getting to deeper understandings about that content. As in life, Project-based Learning activities are long term, learner focused, and interdisciplinary where students learn from addressing real-life experiences, issues, challenges, problems, etc. 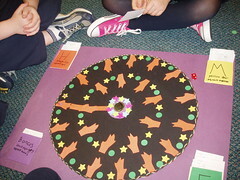 Students may be given the task to solve a problem or investigate an issue. Like Inquiry, students develop questions that guide their investigations, but in PBL those questions and answers lead them to create something new. Something new could be a tangible product, an idea, a new way of doing something, or even a performance all requiring both lower and higher-level thinking to complete the authentic task assigned. Because teachers are facilitators and do not give students answers or solutions but guidance, PBL has been shown to improve students abilities to be responsible, self-directed, and critical thinkers; skills essential for moving on to higher educational settings. PBL provides the perfect opportunity for teachers to not only focus on teaching content but also habits of learning like self-direction, collaboration, time-management, organization, critical thinking, problem-solving, and creativity. Developing these skills in students is essential so that they transfer them on to future projects and then to life. 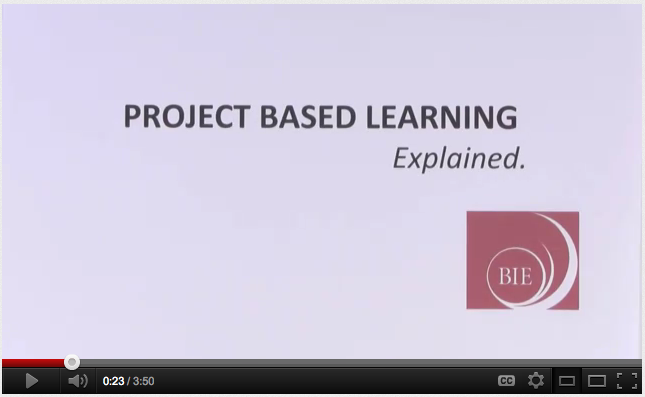 Common Craft has created a great video for The Buck Institute for Education that explains Project-based Learning. What PBL units have you had success using with your students? What might your students say about the projects they are working on in your classroom 20 years from now? *image used with permission from my Facebook friend. Brooke Higgins is an instructional specialist with the eMINTS National Center who occasionally finds time to blog. Teachers have a lot on their plates. The stress of the job is often compounded with the pressure to simply deliver an enormous amount of content. However, teachers shouldn’t feel alone in this endeavor. There is a classroom full of students who can help. What I’m talking about is actually allowing students to deliver and teach content. We know that today’s student is particularly social, more than capable of creating their own assessments (with the right amount of guidance), and often knows more than we give them credit. Of course, structure is still important. We can’t just set them loose with the curriculum, but we can certainly share the work of delivering content. A cooperative learning strategy such as the Jigsaw cooperative learning strategy (yes, we love Jigsaw at eMINTS) provides a structure where students become experts in one area to provide perspective to a collaborative project. Sometimes, this strategy can be used to simply divide and conquer content, requiring students to teach one another their portion. For those of you who are SMART Board users, the SMART Recorder that is part of the SMART Tech suite can record audio while a student demonstrates a process on a SMART Board. It’s ideal for math problem solving. Peer tutoring can work well, but training must take place. Teach the process for delivering content to a small group of students who will turn around and teach that content to another group of students who will teach it to the next group and so on. The repetition provided by teaching the content over and over will strengthen the students’ knowledge. Other approaches to delivering content may also include student-centered methodology such as problem-based or inquiry-based learning. These strategies provide students an opportunity to determine the direction of lessons and units, involving them in the planning and implementation process. What are some other ways you have involved students in teaching content? How do you feel about giving up some control in order for students to teach one another? How is peer-to-peer learning addressed or not addressed through cooperative learning? A goal of eMINTS classrooms is to actively engage students in learning experiences with real world connections and/or authentic contexts. This means that students often times create products that are authentic or something that someone in a real job somewhere would create. Below are a couple of product ideas that meet this goal and could be authentic assessments of learning. These products could be used in many projects across all subject areas and grade levels. 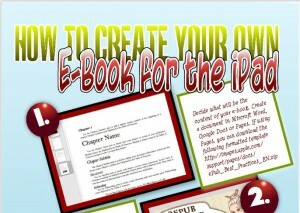 The Student Author: Students create eBooks (electronic books). There are a lot of debates about traditional books versus digital books and the benefits of each. Why not teach students how to create both? After following the writing process, students can publish books traditionally or electronically. 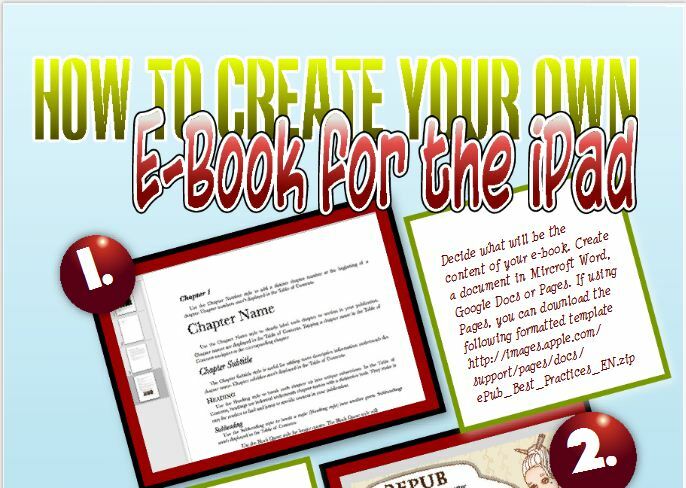 Silvia Rosenthal Tolisano shares step-by-step instructions to create eBooks that can be loaded onto iPhones or iPads alike. It is as simple as creating a document in Word, Pages, or even a PDF then using ePub Converter to convert the files that can then be easily dropped into iTunes and synced with the iBooks app on a device. InfoGraphics: Kathy Schrock put together a presentation/webpage called Infographics as Creative Assessments to help teachers plan lessons where students make Infographics as end products. She provides links, ideas, and tips for planning authentic learning activities. Watch the Vimeo video (below) to learn what Infographics are, why you might use them in lessons, see examples, and learn a process to have students follow to create their own Infographics. She has tons of links to help you plan lessons and to support students in creating their original graphics. Schrock also shares the importance of teaching about copyright, design, font use, layout, and citing sources other media literacy skills. Please share your authentic product ideas with us. Leave a comment telling about your projects and include links to your examples.